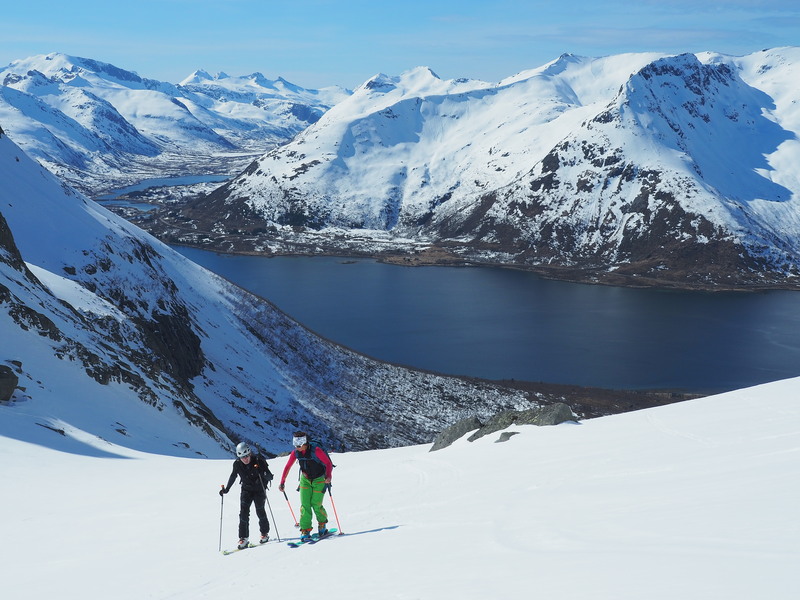 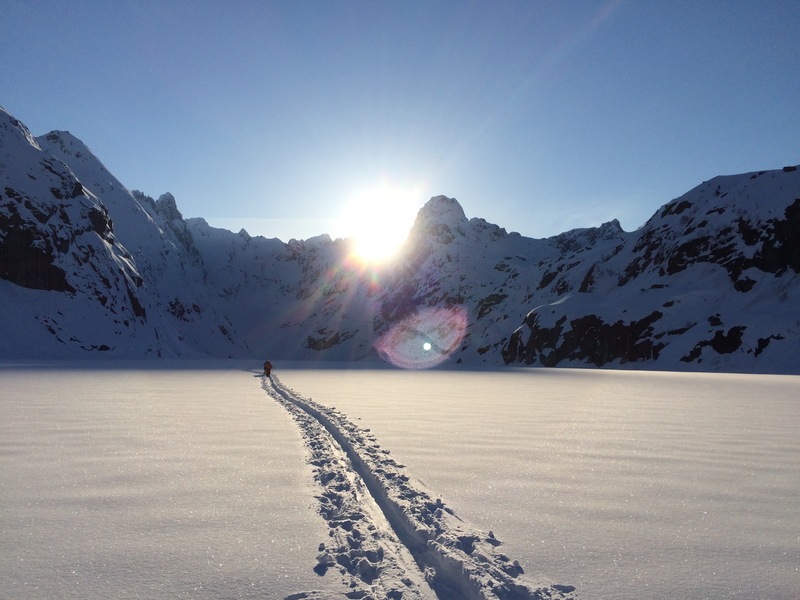 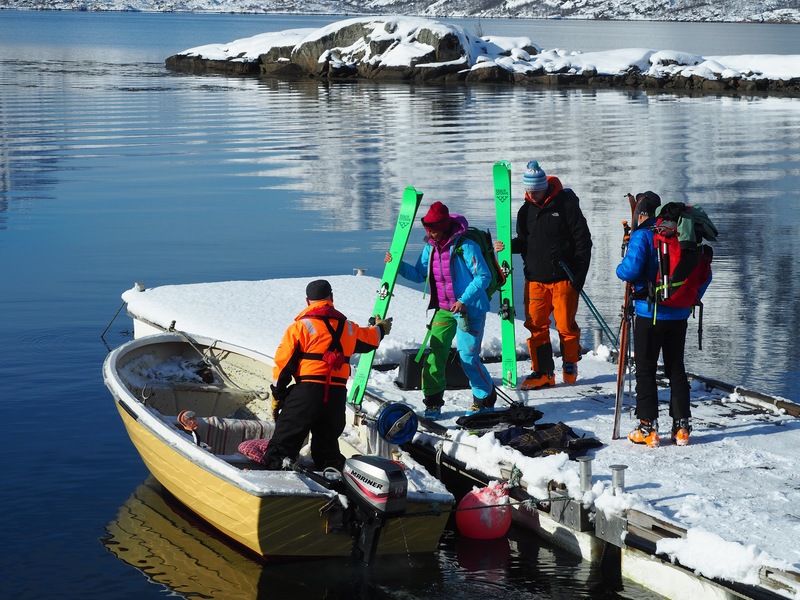 Enjoy an intense week of ski touring and freeride above the Arctic Circle, and discover the fjords of the Lofoten Islands! 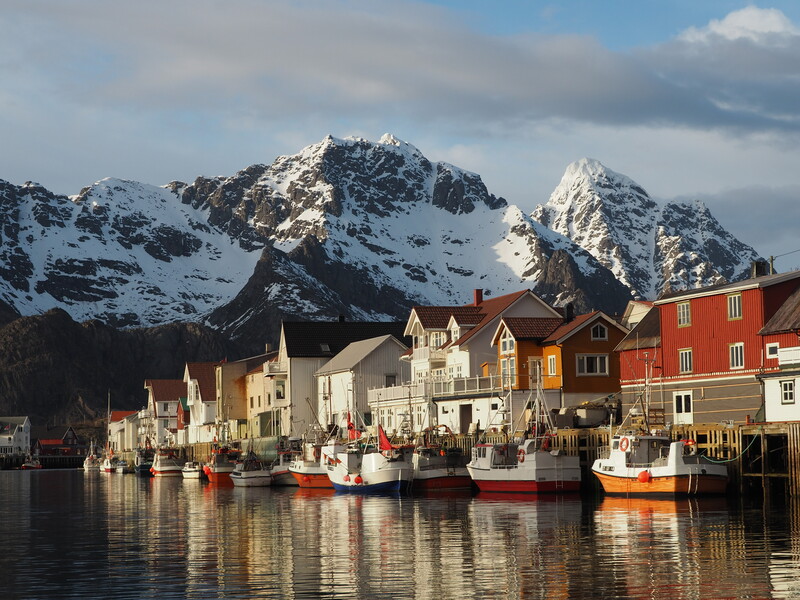 It is located in Henningsvaer one of the most famous and beautiful fishing villages, located above the Arctic Circle. 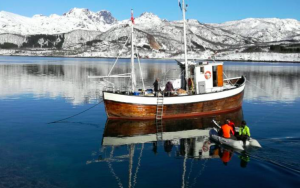 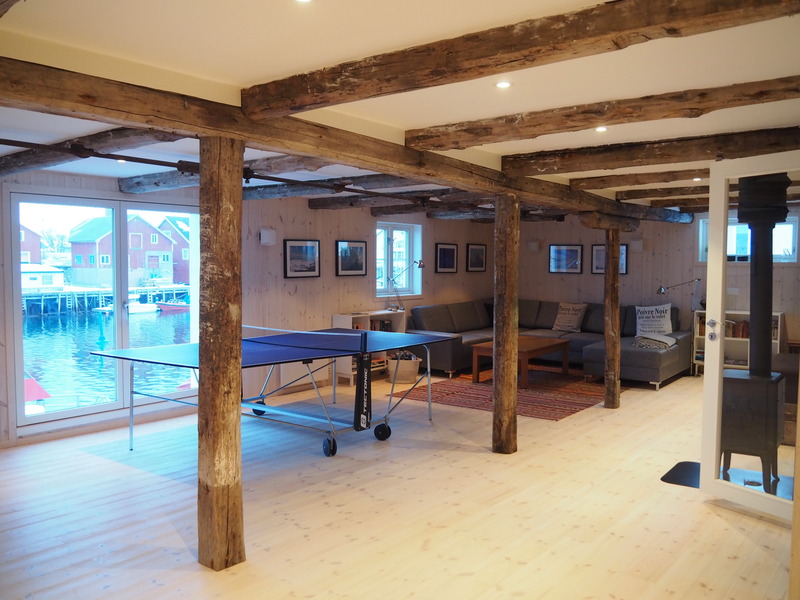 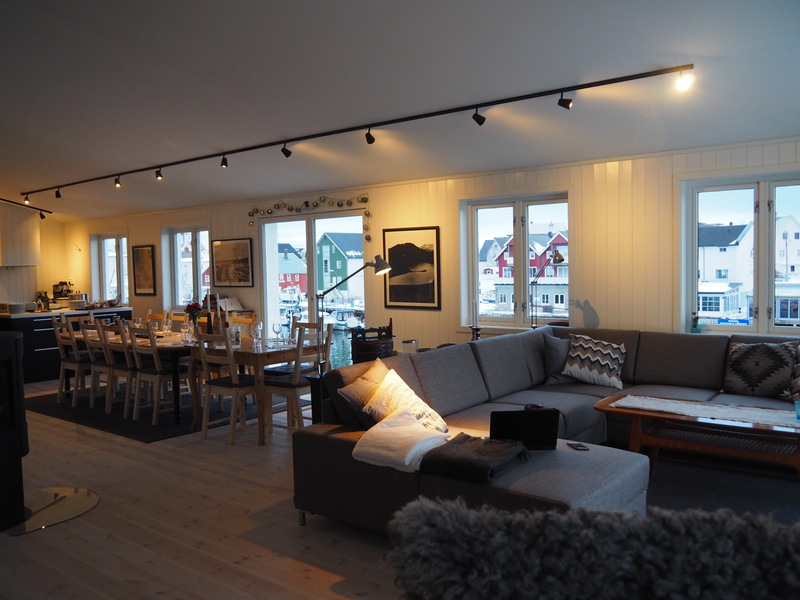 Our lodge, Lofoten Playground, is a traditional fishermen's house «Rorbu» which has been completely refurbished and converted into a high standard and cozy house. 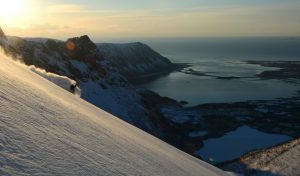 It is an ideal starting point as it allows us to have a fast and easy access to the different summits in the Islands. The lodge offers perfect comfort with bedrooms for 2 or 4 people, preserving the original Scandinavian style. It has a living room, open kitchen with the dining room, a rest room with TV and ping pong table, and a room to dry your material, as well high-speed WiFi. 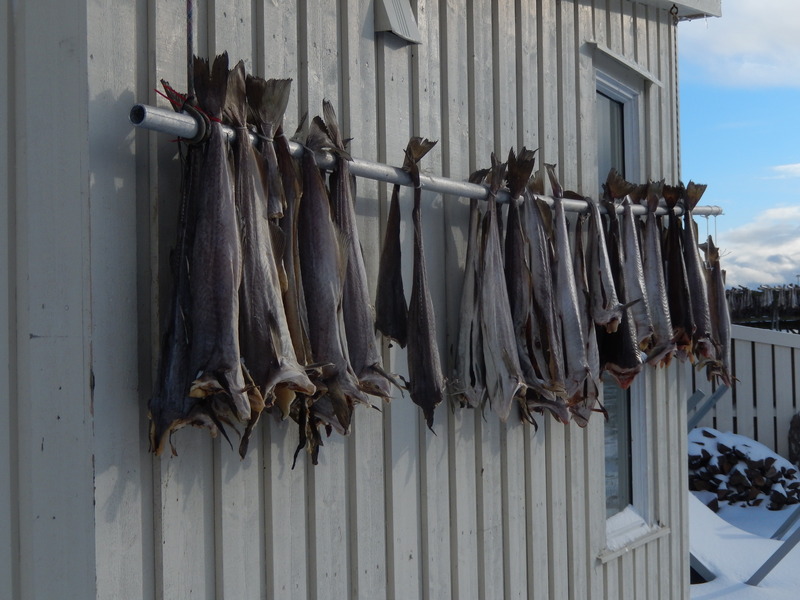 The ground floor is still used by our Fisherman who will offer us some fresh cod throughout the week! 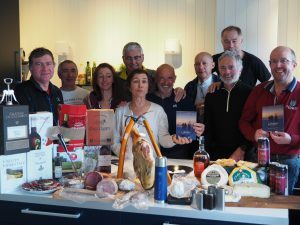 This trip includes full board: breakfast, picnics for the journey and three course dinners prepared by our local chef, Bénédicte. 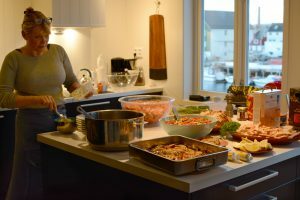 She makes wonderful dinners based on traditional recipes with local ingredients like cod. The tradition of the Lodge has become that each person brings some local speciality to share during the aperitif after a full day of skiing. 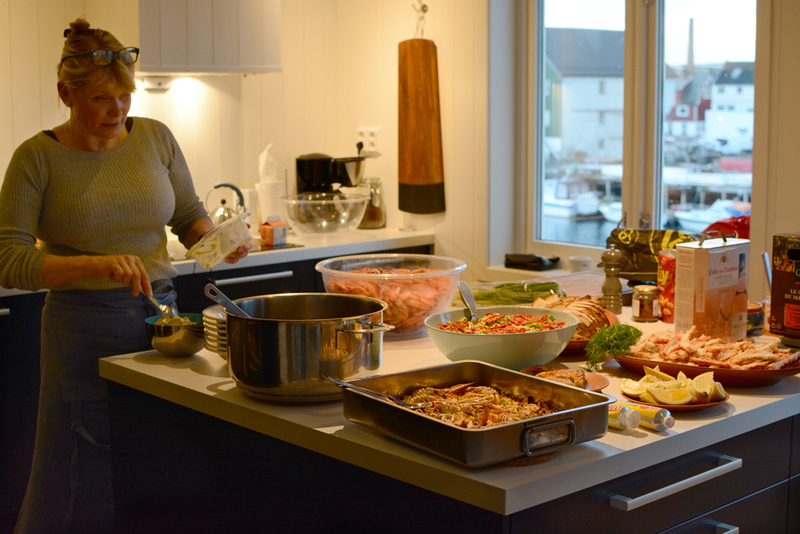 Alcoholic beverages are not included. 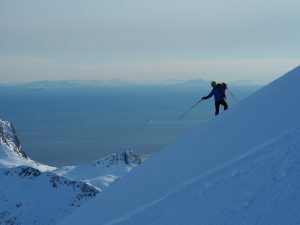 Lofoten is not only snow and skiing... 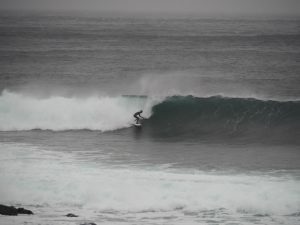 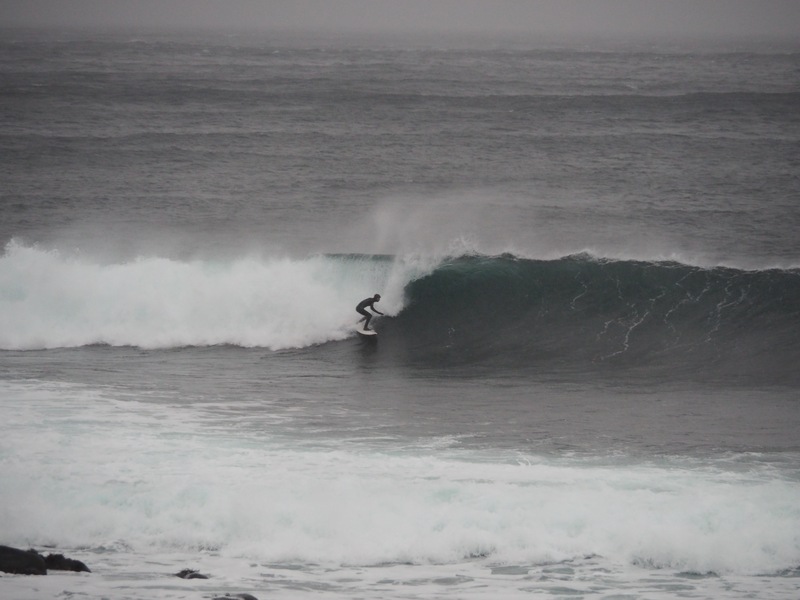 It is also very known for its sea, fishing, Northern lights and... Surfing for the bravest! Price per person. 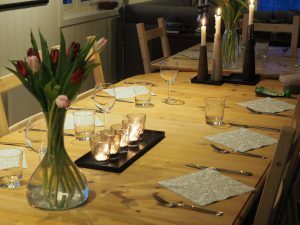 Group of minimum 4 people. 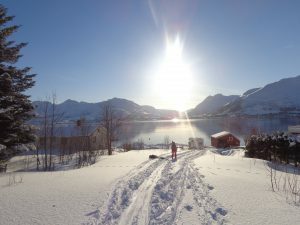 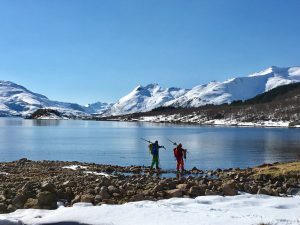 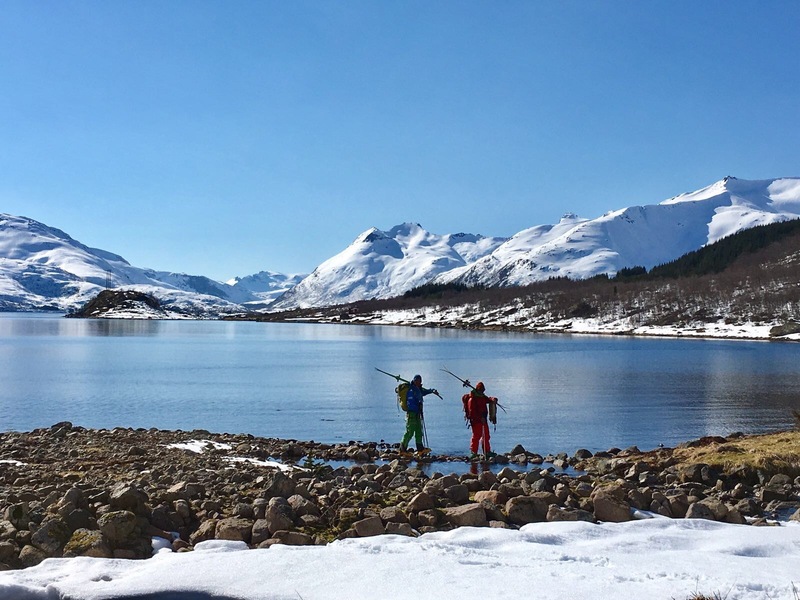 There are several options; day trip with the possibility of skiing in Trollfjord or 2 days with a night included in the small town of Digermulen where the skiing possibilities will increase. 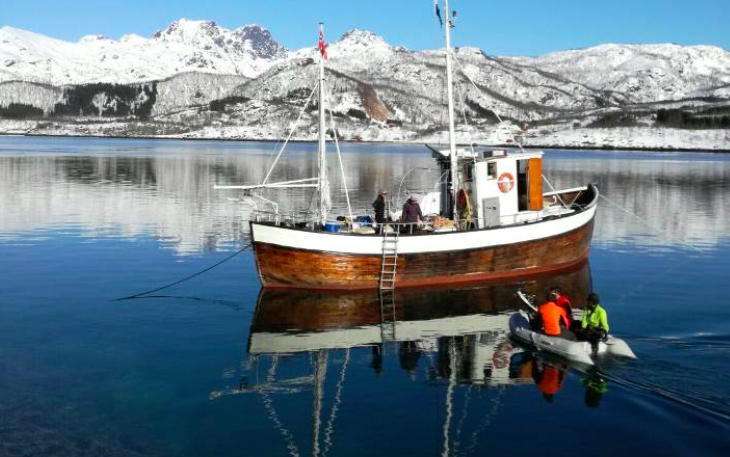 / PRICES: From 110 € per person: 1 day per person departure for a day trip. The boat can be shared with another group. 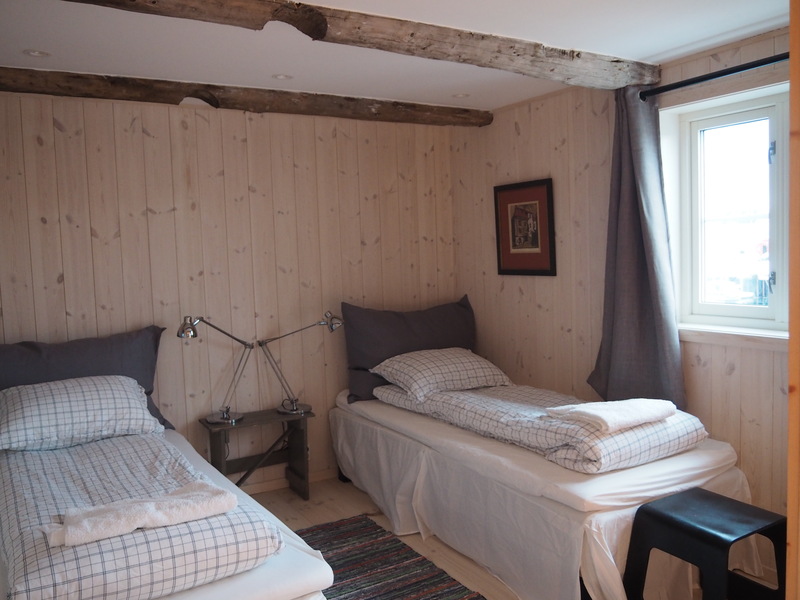 / From 270 € per person: 2 days by boat and one night in Digermulen. Contact us, we will help you out! Registering in one of our trips implies your total acceptance of our general and particular conditions of sale.  Please read carefully our Terms & Conditions.